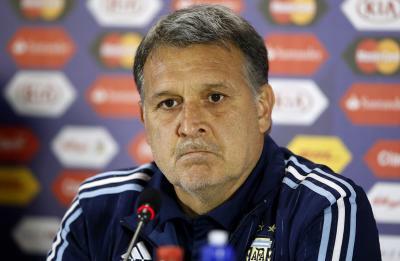 Mexico City, Feb 14 (IANS) Mexico coach Gerardo Martino suggested that reputations will count for nothing when he picks his first squad for international friendlies against Chile and Paraguay next month. Speaking to the media on Wednesday after a three-day national training camp with Mexico-based players, Martino warned that even El Tri's most established players cannot take their place for granted, reports Xinhua news agency. "The players who play will be in the team because of their present form, their disposition and their value (to the team)," Martino said. Among the players who might have been listening is Javier "Chicharito" Hernandez, scorer of just 12 Premier League goals in 46 matches for West Ham since his July 2017 move from Bayer Leverkusen. Mexico's all-time leading scorer with 50 goals in 105 matches, Hernandez has not represented El Tri since last year's World Cup in Russia and sections of Mexico's media have questioned the former Manchester United and Real Madrid striker's commitment to the national team. "Javier Hernandez will be considered," said former Barcelona and Argentina manager Martino, who was appointed Mexico boss on a four-year deal last month. "To represent your country should be sufficient motivation. If the coach has to motivate a player to come then we would have a serious problem." There are also doubts about whether LA Galaxy brothers Giovani and Jonathan dos Santos will be selected for next month's friendlies given they are yet to return from Major League Soccer's extended off-season break. "We can't be full of players who aren't playing, but yes there are cases where we can put value on players that we could need and there could be circumstances where players who aren't playing could be called up," Martino said. Mexico will play Chile in San Diego on March 22 and Paraguay in Santa Clara four days later.